The third quarter of the current financial year is over for Paradox Interactive (FRA:ETA) and their financial report shows a significant year on year increase in both revenue and profits. This increase applies to both the quarter and the nine months ending September 30th. While there may have been a fall in profit during the second quarter, the third quarter hasn’t followed suit and figures show that Paradox Interactive are set for their best year yet. A little under a week ago Paradox Interactive revealed revenues of SEK 224.98 million, a 25% year on year increase on last years 180.67m. Operating profits for the quarter came in at SEK 68.31m, a 29% YoY increase on 52.85m from last year. For the nine months ending September 30th, revenues stand at SEK 790.80m and operating profits of 308.25m. For reference, for the whole of the 2017 financial year Paradox Interactive saw revenues of SEK 813.78m with operating profits of 339.81m. Simply put, the company is looking forward to a strong year that will stand far above any other year in their history. One thing that is plain is just how quiet of a period Paradox Interactive have had. The publisher, during the quarter, only saw the release of one game and two downloadable content. This is initially misleading, as two of those titles are simply releases of content on a different format. In this case, it was Cities: Skylines being released on the Nintendo Switch and also the Mass Transit DLC for Cities: Skylines being released on consoles. The only new content was the Dharma DLC for Europa Universalis IV. Revenue from the third quarter of 2018 are mainly attributable to Cities: Skylines, Europa Universalis IV, Hearts of Iron IV, Stellaris and Crusader Kings II. 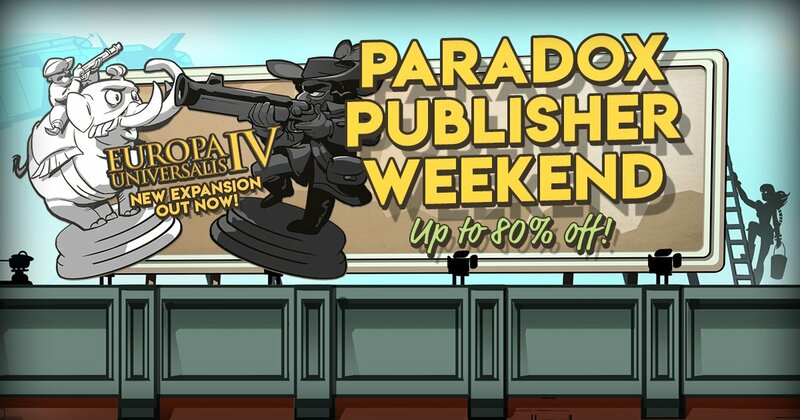 A special mention was also given to the Steam Summer Sale and the Paradox Publisher Weekend on Steam, both of which are known to generate large sales at a huge discount on older titles for developers and publishers. The long tail approach is a tried and tested method that has worked well for Paradox, one that we’ve covered for a few years now. 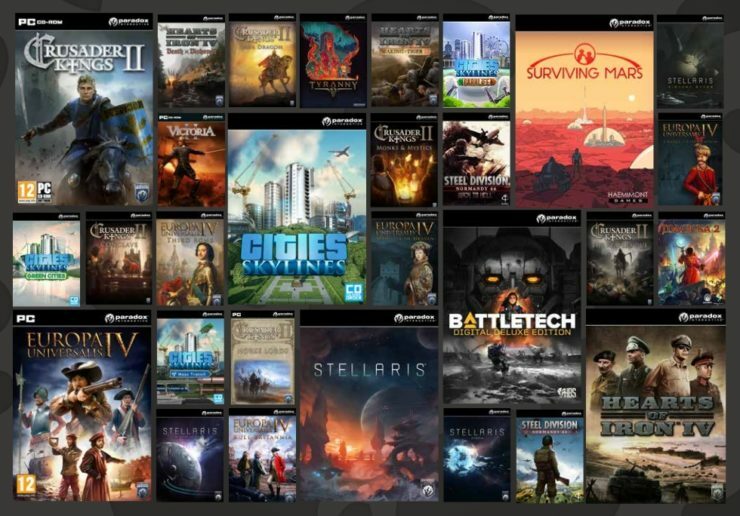 Paradox published games and specifically ones developed by any of their studios all have a high potential for extended sales and further expansion from downloadable content. The average shelf-life and gameplay value of a Paradox Game tends to be well above that of the average game and this is still showing as the case through the bulk of revenue is from games developed before the current financial year. Europa Universalis IV is five years old. Cities: Skylines is three and a half years old. Hearts of Iron IV and Stellaris are the youngest, both being around two and a quarter years old. Naturally, with games this old providing the bulk of revenue there will be an eventual drop off to the tail, even with Paradox Interactive’s approach of continually expanding their titles. Surviving Mars, the publishers most recent full game, has seen the release of its first DLC in the form of Surviving Mars: Space Race. During the current quarter, you are likely to see the release of two pieces of downloadable content that we covered last quarter. These are Hearts of Iron IV: Man the Guns and Crusader Kings II: Holy Fury. BATTLETECH: Flashpoint, the upcoming DLC for BATTLETECH which was announced at Gamescom, is also scheduled for release in just over one week. Further afield, during the next financial year (Paradox Interactive run on a January to December financial year), you will see even further action from the publisher. 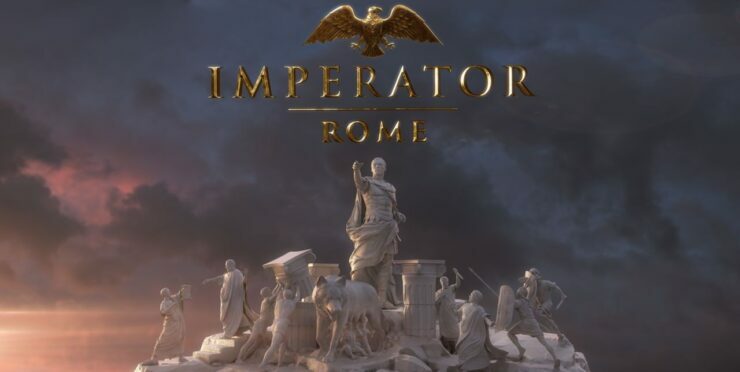 This includes the previously announced Imperator: Rome by the internal Paradox Development Studio and Age of Wonders: Planetfall by Triumph Studios. For the first time in the company’s history, rolling four-quarter revenue has reached over SEK 1 billion. With this being the holiday season, a pending Steam Winter Sale and other Christmas deals, as well as the release of one DLC and potential release of two others, Paradox Interactive will almost certainly hit SEK 1bn for the current financial year.